Frances made this really delicious fruit crumble for dessert. She cut back the sugar and gave the fruit a lovely flavour with the addition of fresh ginger and cinnamon sticks. Stew the fruit in a pot till soft. Heat the oven to 180°C. Rub the crumble ingredients together with your hands or in a mixer until well mixed. 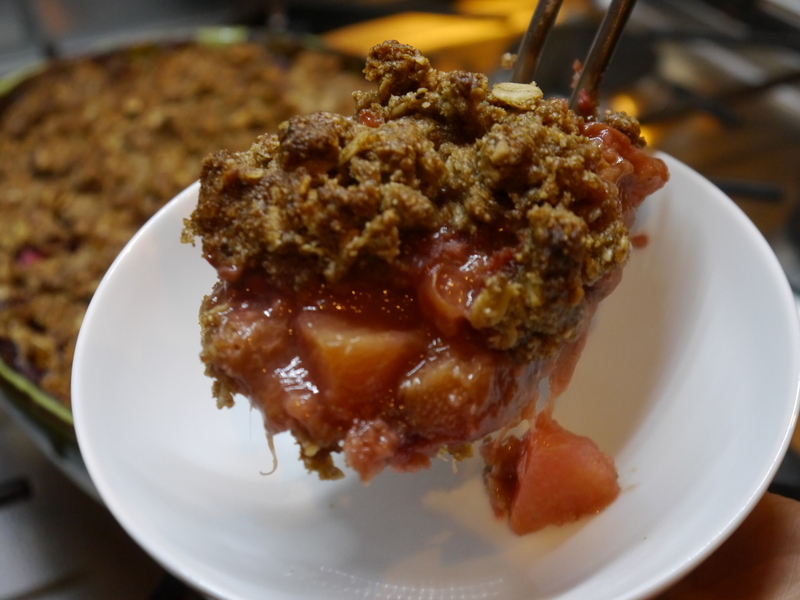 Place the stewed fruit in a oven dish and cover with the crumble topping. Bake for 20-30 minutes or until the crumble is nicely browned. Rest for 5 minutes. Serve warm with plain yoghurt or ice cream.